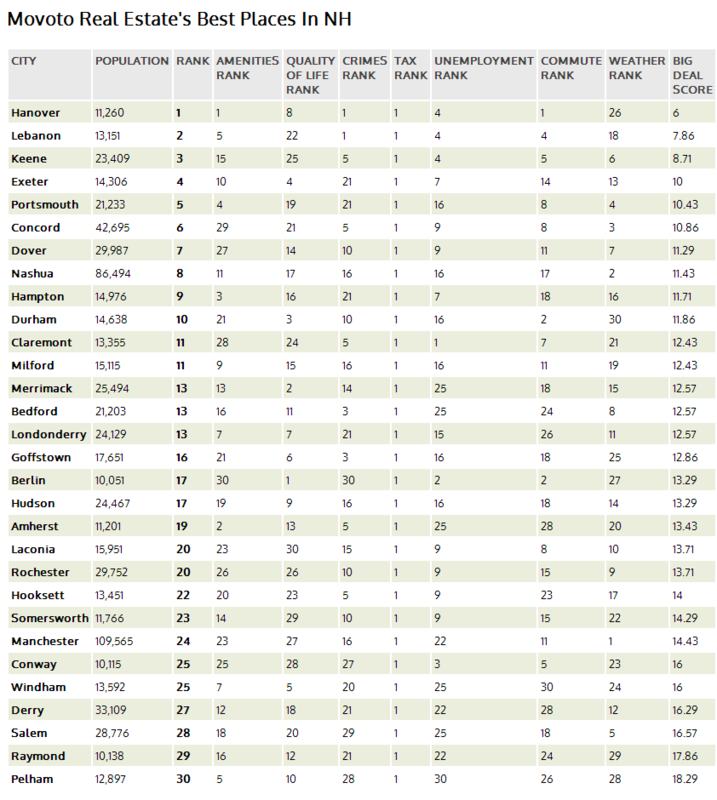 Real Estate company Movoto ranked the 30 largest New Hampshire towns and cities in seven different criteria, and determined that Keene was the third best place in New Hampshire! The criteria included: total amenities, quality of life, crime rate and tax rates, among other factors. Movoto says, “The city is a bit of a haven to students, offering them an impressive 12 to 1 student-teacher ratio and some great summer temperatures to enjoy the time off of school. If people are past school-aged, that’s fine too, as the place boasts the fifth-best unemployment rate at only 4.3 percent. Hanover and Lebanon ranked 1 and 2, respectively, with Exeter and Portsmouth rounding out the top five, Concord ranked 6th, followed by Dover, Nashua, Hampton, and Durham; Manchester ranked #24. The unemployment rank makes no sense. Berlin is by far the worst, yet it’s ranked 2nd. The crime looks to have problems, too. I’d love to see the raw data for weather. I suggest that people stay away from Movoto. So, folks relying on the official unemployment numbers can be quite misled.